King Ragworm! It sounds like one of Fagin's street-names but it really is a worm! They're actually rather attractive if you don't look at their face too much. Or their soul or whatever. They tend to be a kind of iridescent blue-green with orange frills all along the sides. Don't be fooled, though! You can't just put a top hat on the Ragworm King and expect him to be reformed! They can be found along the shores of the North Atlantic; Europe, Canada and the United States. A bit like drugs. They can get huge! A normal little one is about 30 cm (1 ft) long, but for some reason there are populations in Wales that commonly reach 90 cm (3 ft) in length. Wales! That's just the kind of completely unexpected base of operations you'd expect! 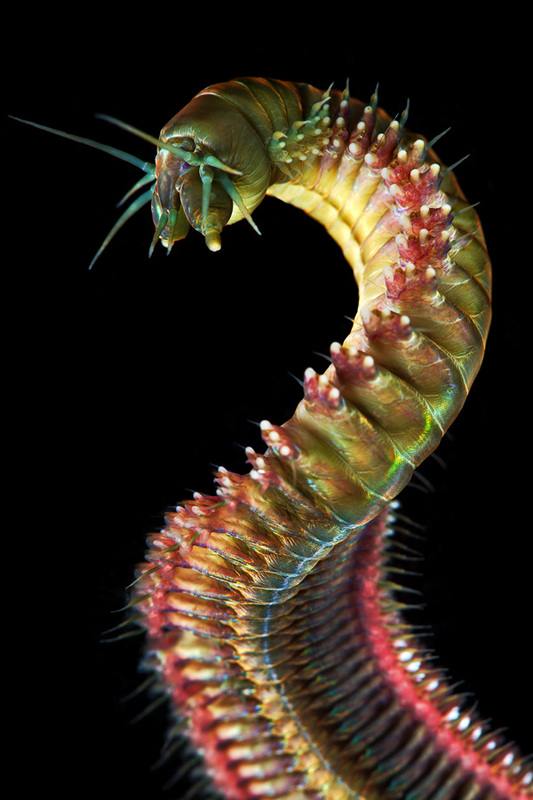 King Ragworms are members of the underworld. Sure, they look all shiny if they catch the light, but usually they live in underground burrows and tunnels lined with their own mucus. That's the reality, kids. Muddy or sandy substrate is great for this, but gravel and small stones don't pose a problem either. 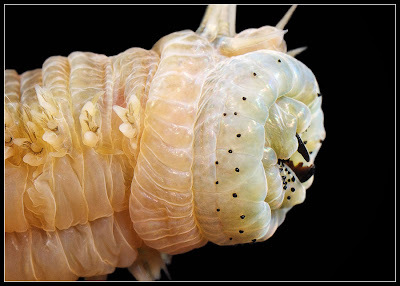 Being polycheates, the orange frills on their sides are actually the fleshy almost-legs known as parapods. 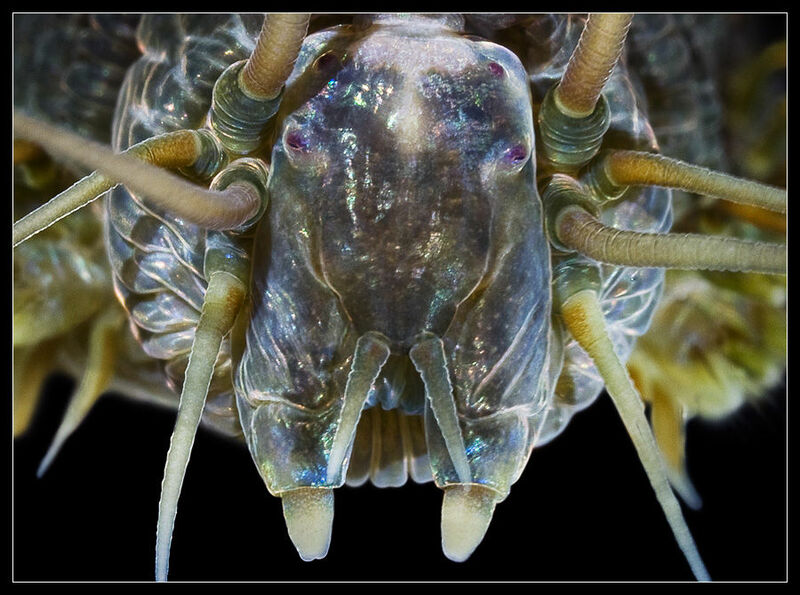 These are used for pushing aside mud as they burrow, dragging their body along as they walk and also breathing, since they're full of blood vessels. Locomotory lungs! The King's face is an uncouth mess of tentacles, antennae and palps. Also 2 pairs of eyes. 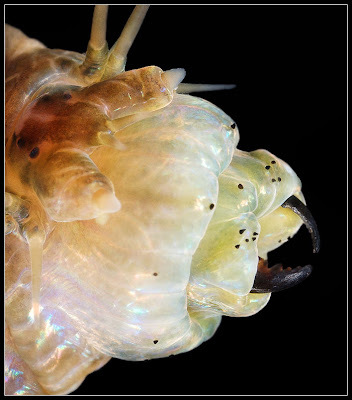 And then there's the eversible pharynx. 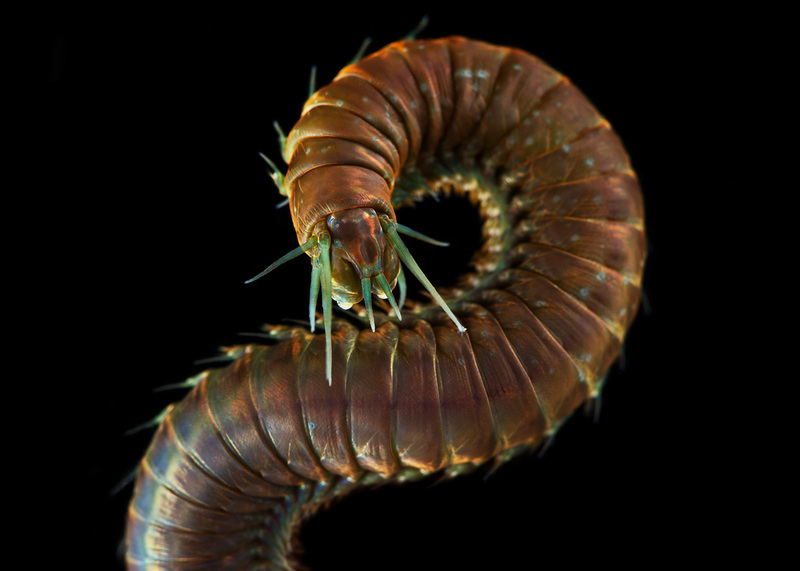 Usually these worms keep their jaws hidden away, behind their mouth and a little way down into their body. When it comes to getting food or mugging old ladies or whatever, they open their mouth and push their jaws right out, turning the throat inside out so that it becomes a proboscis. Pharynx everts after about a minute. And the actual jaws are savage. It looks like a huge ant! And they can give a painful nip, too. 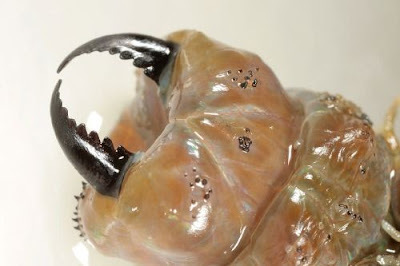 I'm still not totally comfortable with worms having fangs and mandibles and stuff. I keep thinking they'll do something completely irrational with it. 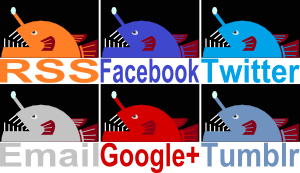 Strange to say, the King Ragworm is an omnivore! 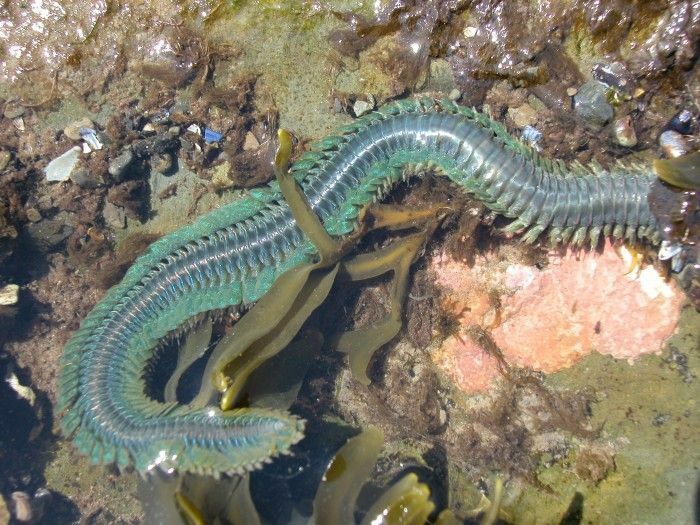 They eat prey like shrimp and other worms but they also feed on algae and seaweed. If a criminal worm can have a healthy, balanced diet, then so can you! When it comes to mating, males throw all caution to the wind. 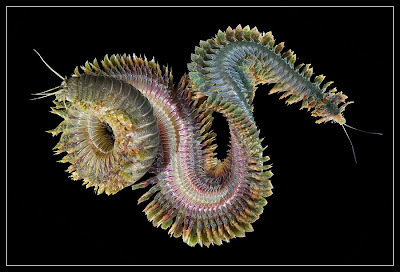 They swim with eel-like motions to the surface at high tide, releasing sperm as they go. And then they die soon after. They're not even family men like in The Sopranos. Females meanwhile remain at their burrows and release their eggs. They die soon after. Thus, the next generation of orphaned ragworms are abandoned into the world and left to sink into a life of crime. Poor bastards don't stand a chance! Oh wow! Those are great! They look much more formidable there, thanks! 3 feet?! 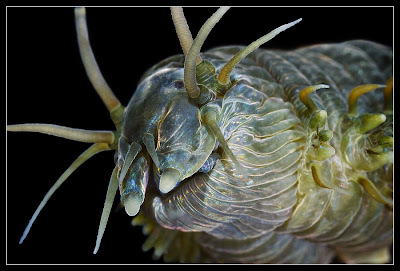 um, please stay underground, handsome dude worm. Wow! I can almost see a sci fi movie of this guy! The Mutant Ragworm! He's awesome. I totally see it! The first picture looks to me like an alien's face, I could even imagine it having a sort of humanoid body. Yuck! I've dug these for fishing bait at well over a metre long and an inch across, you don't mess with the nippers on a worm that size as it will draw blood easily! It still can't stop thinking about earthworms whenever I hear about a worm. I just can't get used to these blood-letters! Yes their is a movie that was realest it was made in 1976 it is called Squirm I own it on DVD a really good movie check it out. Wow, yikes! 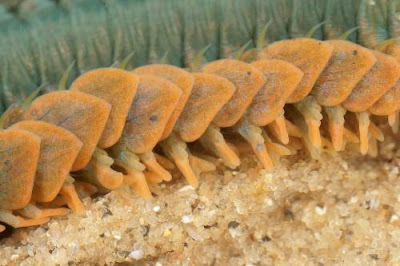 Don't mess with the worm army!